This pattern is licensed to Adelphi Paper Hangings by the Plymouth Antiquarian Society. 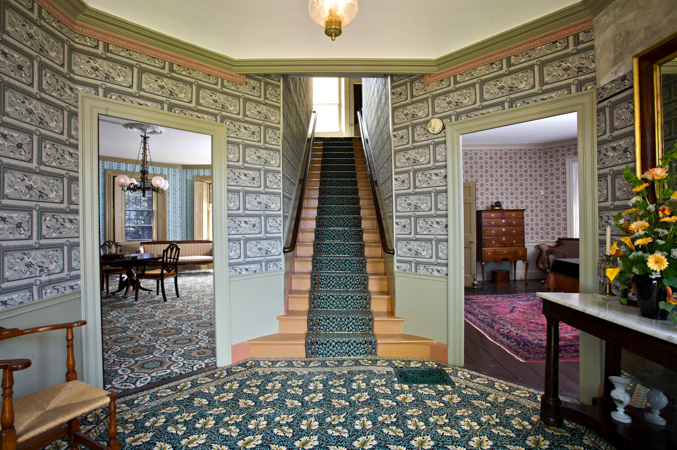 This ashlar pattern was found at the 1809 Hedge House in Plymouth, Massachusetts. Ashlar patterns were a very common and enduring style in this period, often kept in use for long periods of time. Used predominantly in heavily trafficked areas such as passages or stair halls they had the practical benefit of being easily repaired by pasting individual blocks from a spare roll over the damaged area. 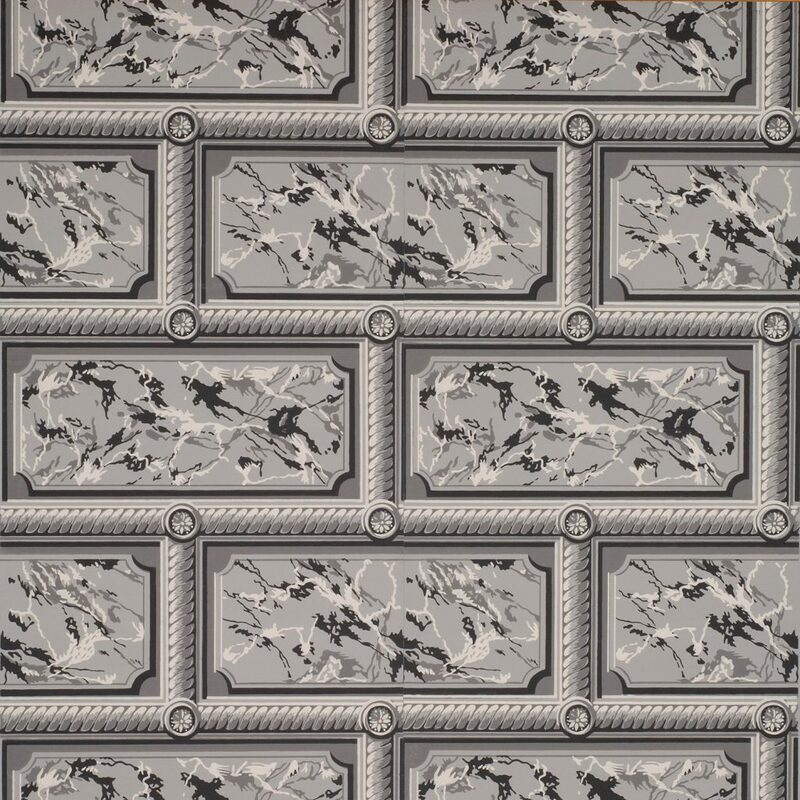 This pattern is shown in the grisaille (tones of gray) found in Plymouth. Other period appropriate versions can be produced in siena, verde or nero marble styles, using combinations of yellows, greens, gold and blacks and white. Imperial Measurements: Repeat 18 ⅛ inches, width 18 ⅛ inches, length 11 yards, straight match. Metric Measurements: 46 cm, 46 cm, 10 m.